Grande Prairie’s Cody Boake triumphed in a close, three-way finish at the 2013 Don’t Get Lost in the Woods Trail Race at the Wapiti Nordic Ski Trails on Sunday. Boake bested Scott Goonsey by one second, recording a time of 1:31:51 for the hilly half marathon course. Landon Dunbar was third, only 3 seconds back. Paola Aedo Martinez won the womens race with a time of 1:52:20. 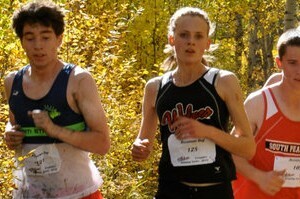 Race #3 in the 2013 Wolves XC Series, the Steve Burgess Memorial, takes place on September 14 at the Wapiti Nordic Ski Trails.